I would like to take a moment and discuss a topic that is probably not a favourite among the majority of the population: Mathematics. I will now give you a moment to compose yourself and allow the nauseous feelings to subside. You may now be wondering why in a blog about corporate innovation and promoting an innovative environment I choose to talk about such a dreadful topic. My reasoning is rather simple: in reading about innovation and how to get people to be creative, the benefits of Mathematics are never mentioned and yet it is in everything from Art to Music. We focus so much on allowing free thinking and encouraging others to look beyond and outside the box. What about Math? Unfortunately, many assume that thinking about Math will place a person in an analytical rather than creative frame of mind and may inhibit innovation. Is this true? If you’ve struggled with Math in the past you’re probably hoping that it is! Sorry…I am going to prove otherwise and hopefully convert you to a Math lover. No, I am not intending to turn you into the next famous Mathematician, but rather to develop in you an appreciation of this complex subject and show you how something perceived as “structured” can actually promote abstract and boundless thinking. Weird, huh? 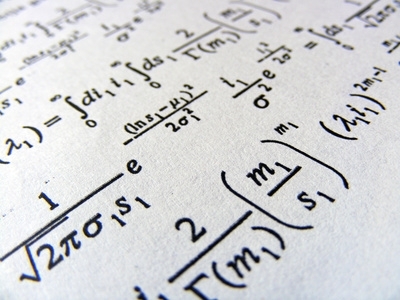 When we think of Math in a general term, it includes complex subtopics like Calculus, Multi-variable Calculus, Geometry, Algebra, Differential Equations, and so on. Yes, these are very complicated in application, but one need only look at a picture or painting or listen to a symphony or rock song to appreciate them in real life. In addition, there are more advanced topics like Logic, Abstract Algebra, and Linear Algebra but these are for enhancing logic, reasoning, and visualization and their benefits will be addressed in another post. To see the complex but paradoxically simple beauty of Math, you can look at almost any masterpiece of painting or sculpture. What is the best part about this? Knowing how to solve complex differential equations and triple integrals is not even necessary. In fact, most of the beauty we see is more from applying simple geometric patterns over and over in some sequence. When done this way, it gives rise to what Mathematicians term Fractals – a detailed repeating pattern that makes itself obvious when zooming in on the picture. One person in particular, Benoit Mandelbrot, has become known as the father of fractal geometry. 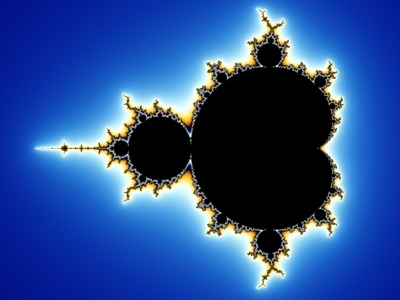 As stated in a Wikipedia article about him, Mandelbrot “emphasized the use of fractals as realistic and useful models of many “rough” phenomena in the real world. Natural fractals include the shape of mountains, coastlines and river basins, the structures of plants, blood vessels and lungs, the clustering of galaxies; and Brownian motion. Fractals are found in human pursuits, such as music, painting, architecture, and stock market prices.” I encourage the reader to type into a search engine the term ‘fractal’ and enjoy all the interesting pictures that result. So what does all this mean to the osmotic innovator? Many times we are faced with what seems like an insurmountable challenge. We attack it head on and think that with enough critical thinking and brainstorming we can somehow solve it. We may even go so far as to call in specialists and technical experts for their point of view. Does this really help us approach the problem differently, or are we just getting lost in the proverbial complex landscape? 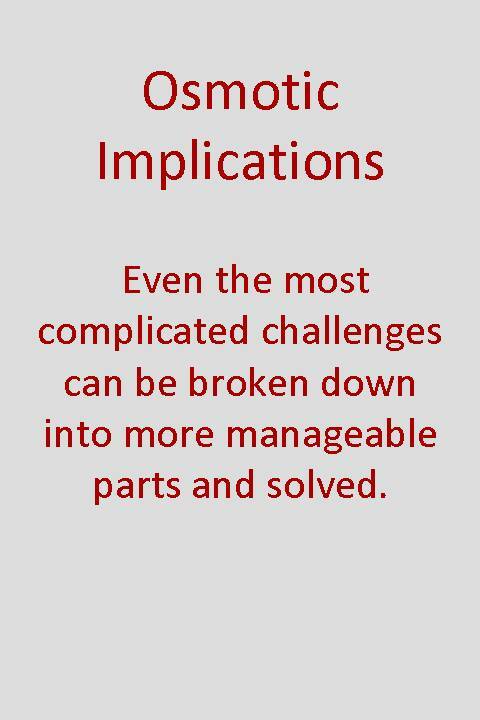 Instead; take a problem, break it down into its constituent parts and handle each one of those separately. 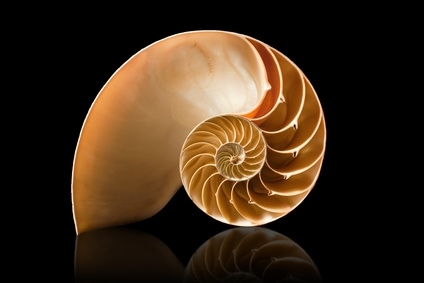 Mathematics teaches us to take a step back – don’t get lost in the extreme complexity, for even in something as complex as the nautilus shell there is a simple structure to be found. We don’t all need to be a mathematical genius to solve something that seems rather complicated. Remember, the lead singer of Tool, James Maynard Keenan, used the Fibonacci sequence in a song. He took something difficult, simplified it, and turned it into music. Now think of the possibilities available to you as osmotic innovators…they’re infinite! This entry was posted in Creativity, Innovation challenges, Strategy, Thinking and tagged Creativity, Innovation Challenges, Mathematics.